There is no universal instruction on how to promote an account and there cannot be any. But there are general recommendations, which are derivatives of long observations of market leaders and recommended literature in the sphere. The following recommendations are written for advertising on the Instagram, but they can be also found relevant for any sorts of advertising activities. SMM does not require large financial investments, and this is the reason for which many managers may neglect the meaningfulness of it. They start an account in the Instagram just because it has to be there (basically, because everyone has it). The lack of a clear goal will drag your time and money into a black hole; your resources will disappear without bringing you anything. The goal of advertising on Instagram should be specific and realistic. But do not specify something you are unable to influence at. The temptation to have some blur success as a goal is always great, but may be not as beneficial as a smartly set goal. Increase the popularity of your account. Sell 300 goods for 10,000 $. Show that our coffee is prepared by a professional barista. Tell that we deliver our goods within 2 hours. Thank all those who chose our campaign. Show how cool our glasses look in ordinary life. The right goal will help you to communicate the message, to make the advertisement live and interesting. People want you to take care of them. So show your concern - and you will get the love and trust of the client. Increasing loyalty, increasing the number of subscribers is a consequence of your actions. This is an indicator of whether you’ve set the goal correctly. It's about the right goal and the right advertising campaign in general. We are constantly looking at the situation from our side of the business and forget to get out into the world of the client. Think whether a person needs what you offer him or her? Ask friends, consult your wife. Look at the situation with your client’s eyes and be honest. If you offer coffee to go, for example, you are expected to show up speed and quality of service in the first place, but not a wide selection of all flavors. So show your barista at work or take a picture of your perfect cappuccino with the caption ‘We'll make this cup to you in 50 seconds’; invite the users to come and to see it personally. If you produce clothes at a factory in Germany, then it is not enough for a client to know only this information. Show sewing workshop and explain how it affects the products. Instagram is a visual blog. Show your good face. You can do it not only through the corporate account. Attract popular bloggers to advertise and give samples of products to ordinary people. Let customers talk about the product on their Instagram. Instagram is great for competitions, contests and all sorts of activities related with a photograph. Think of a funny hashtag and ask Instagram masters to compete for a prize. Arrange a flashmob, tell your subscribers about how you produce your goods, think up how to cheer and please the users. Do not be too serious, keep a friendly tone and stick to advertising style. Be attentive to beauty. 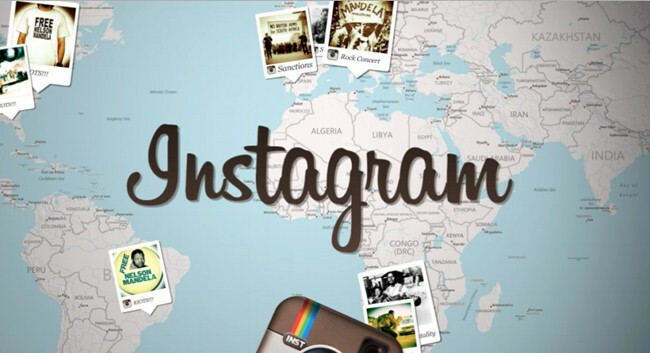 On Instagram everyone wants not only to see real life stories, but also to get aesthetic pleasure from the picture. No wonder you are given that many filters and settings - use them to the maximum! Do not try to cheat! This rule is violated most often. The worse the reality, the more "filters" advertisers apply. And the more obvious is the cheating. Just do not tell you're your product is the best if it is not. Do not promise if you cannot keep it. A real picture of your products with an honest description works better and makes you keep a high standard. Deception and falsehood are revealed at times and provide bad reputation to your products. Why can Instagram subscribers kill your account?